Powerful CPU & GPU Profiler, GPU Debugger and Analyzer, and Power Profiler. 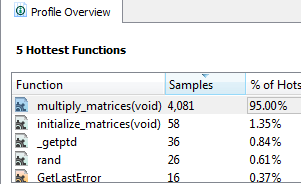 A comprehensive tool suite for the performance-aware developer. Combined Host + GPU Debuggger -Combine C/C++ debugging with comprehensive GPU debugging of OpenCL & OpenGL API calls and OpenCL and HSA kernels. 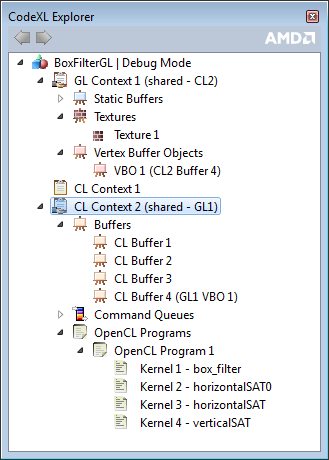 Break on OpenGL\OpenCL API calls, view each OpenGL\OpenCL object in the CodeXL explorer tree, step into OpenCL kernels as they are executed on the GPU, and much more. DirectX 12 and Vulkan Frame Analysis - Collect and display a frame timeline for applications that use Microsoft DirectX® 12 or Vulkan®. Review each API call that was made on the CPU side and its corresponding command that executed on the GPU side in a inter-linked and unified timeline view. 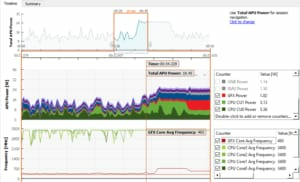 CPU Profiler - find time critical hotspots and diagnose performance issues precisely with CPU sampling and call-graph profiling features. Optimize your applications, drivers and system software. 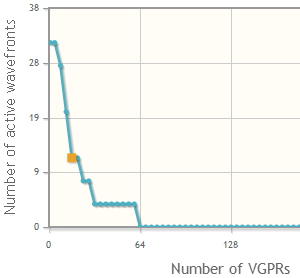 GPU Profiler - collect and visualize GPU counter data, application trace, kernel occupancy and hotspots analysis for AMD APU and GPUs. Discover bottlenecks in your application and find ways to optimize the application’s performance for AMD platforms. Static Analysis - Compile and analyze the code of DirectX, OpenGL and Vulkan shaders, and OpenCL kernels. Build offline regardless of the actual GPU hardware, view ISA disassembly, view GPU resource usage – quantity of consumed memory and scalar/vector registers, performance advisory board, and generate binaries for shader pipelines and kernels, all without running the actual application. Power Profiler - The Power Profiler monitors the power consumption of APU components in real-time, as well as CPU core and GPU frequencies, and CPU cores thermal trend and P-State. A command line tool and a rich graphic client let you visualize and analyze what are the power-hungry parts of your machine and make your application greener. CodeXL increases developer productivity by helping you identify programming errors and performance issues in your application quickly and easily. CodeXL is part of the GPUOpen.com initiative. It is open-source and uses the MIT license.